This is a Sponsored post written by me on behalf of Now Resorts & Spas for SocialSpark. All opinions are 100% mine. I am always up for a vacation, what about you? Let’s plan an Unlimited-Luxury® escape to a resort in a warm tropical location. You bring the chick lit and I’ll bring the sunscreen! There’s nothing I love more than soaking up the sun at the beach. Gourmet food, luxurious accommodations and world class activities await. When you choose a Now Resorts & Spas destination, you can make a quick getaway to a place where you will feel like royalty. Exceptional service, entertainment and all the spa treatments you want are there for the taking. 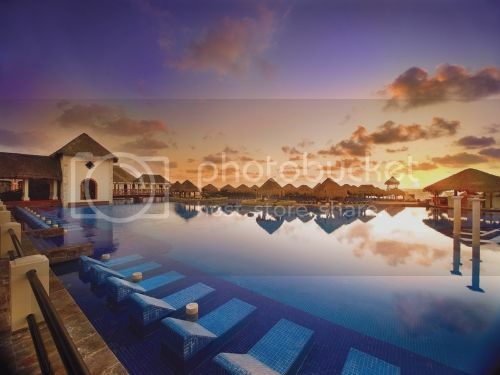 An Unlimited Luxury® vacation means you will vacation at an All-inclusive luxury resort. This really takes all the stress out of your planning because everything is taken care of for you. You’ll enjoy spacious suites with 24-hour room service and daily restocked mini bars. Gourmet meal dining options average 7 a la carte choices from including but not limited to: French, Italian, and Mexican cuisines. No reservations or wristbands required! The Sip, Savor and See Dining Experiences lets you enjoy dining and entertainment at nearby resorts. And, lively bars serve unlimited premium brand beverages. Now Resorts & Spas are perfect for Family travel. Enjoy Explorer’s Kids Club (ages 3-12 years) and Core Zone Teens Club (ages 13-17 years) with supervised activities by trained staff at no additional charge. Someone is going to entertain my kids for free? All right…this is getting too good to be true! Unlimited Connectivity apps allow guests to send and receive calls with no international roaming charges, create personalized profiles to contact staff, and receive up to date daily calendars. I love to indulge in a spa treatment every now and then. And what better time to treat yourself than when you are on vacation! Visit the Now Spa by Pevonia for hydrotherapy, massage and indigenous rituals. Featured products include OPI and Pevonia. Picture yourself: Right Here. Ahhhh! 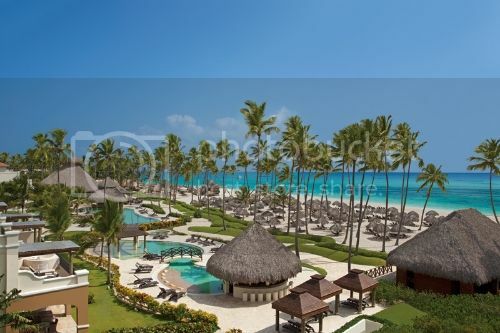 Located in Punta Cana, Dominican Republic on more than 700 yards of picturesque Caribbean Sea beach. Features an on-site casino, baseball batting cage, basketball court, weekly market featuring local artisans, helicopter excursions (additional charges may apply) and a rock climbing wall. 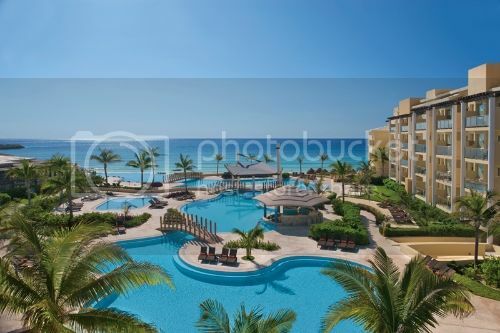 Located just 12 miles from the Cancun International Airport in Riviera Maya, Mexico. Features Live shows, including “Idol” singing shows, Mexican entertainment and fire breathers. Kids will enjoy the hotel treasure hunt! Enjoy a free kayak ride at the beach and test your musical trivia knowledge out by the pool. Go deep sea diving in the blue waters of the Pacific Ocean (additional costs may apply). This AAA Four Diamond award-winning resort is located in Riviera Maya, Mexico, just 15 minutes from the Cancun International Airport. Relax and re-energize with oceanside yoga, play beach soccer and volleyball, enjoy movies at the beach, soar high on the euro-bungee, and have fun participating in a wide variety of water sports including Hobie Cats, windsurfing, sailing and water polo. 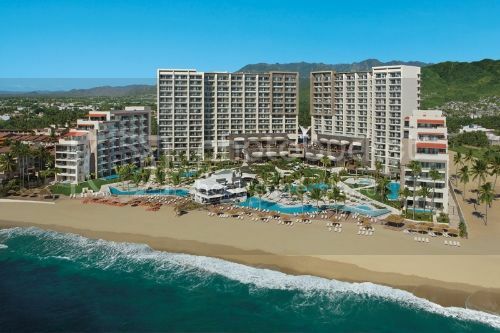 This resort is located along the sapphire waters of the Banderas Bay in Puerto Vallarta, Mexico just 15 miles from the international airport. It’s time for adventure! Take a Hobie Cat into the ocean, kayak at the Aquatic Center (great for families), and test your skills at the archery and rifle ranges. Now Resorts & Spas Trip For Two Giveaway! Now Resorts & Spas has a contest where the blogger whose blog post receives the most social shares receives a trip for two! AND that blogger gets to choose one lucky reader to receive a free trip for two! Help Me Choose My Escape! Are you ready to help me win a trip? Good! All you need to do is share this blog post with your friends. You can use Twitter, Facebook, Pinterest, Instagram and even a comment letting me know which destination you think I should choose. I am sure I would be happy with any and all of the above! Sounds like a resort we want to visit! A little fun, great food, fancy restaurants and relaxation. What could be better?! Oh Oh Oh!! Pick me! I want you to win and pick me for the other person for the trip! I shared for you! lol. Such a hard choice to pick which trip to take. I would take any of them. We have 4-5 inches of new snow on the ground right now. I am so ready for a tropical vacation. Wow that looks beautiful. Especially when we have more freezing weather coming tomorrow. Whenever we travel to Mexico we stay at an All Inclusive resort. It makes travel so much easier. I would really like to check out Punta Cana. At this point with the cold weather, anywhere warm sounds PERFECT!! Oh my goodness…..these resorts look amazing! OK. I would choose Cancun. I’ve been to Punta Cana and the food quality is not as good as Mexico’s. food. Also, their infrastructure is not as up-to-date as Mexico (my opinion). Puerta Vallarta’s water is not as blue and not as warm as Cancun. My sisters each have a condo in Cancun and they LOVE it. They’ve had their condos for about 5 years. My parents spend the winter there. After you see the crystal blue water, there’s nothing like it. Love seeing these nice warm places! I could use a vacay during this brutal winter! Gorgeous! I would love to visit a resort with white beaches and clear water. That’s on my bucket list actually. That Punta Cana resort sounds pretty incredible, I have to say. Wow! I’d be thrilled to go to any of those places! They all look beautiful! This sounds amazing! Especially the weather. Its much colder here! Looks like loads of fun. I’d love a vacation somewhere warm. As I sit here with my space heater and fuzzy robe – I am actually drooling over the Sapphire resort! If I went there I might not come back. very very nice, I would never want to leave! I could go on and on about how amazing this resort is, but alas I must conclude. Now that we’ve had the chance to experience this resort with just us two, we cannot wait to return (hopefully soon) with all of our friends and family. This is definitely a place that we foresee ourselves visiting for many years to come! This resort looks too awesome to miss, and in such a beautiful location. Now I’m daydreaming….. Followed you on Twitter just now so I can read more travel gems!